It was a big hit wit those of us at the class and many have plans to make one as their next project. I shared this photo on Facebook, as Sharyn knows, and there were several ‘likes’. What Sharyn didn’t know was that I also shared it on a group I follow – the Kaffe Fassett Collective and you can see the response below. See how many people like it? 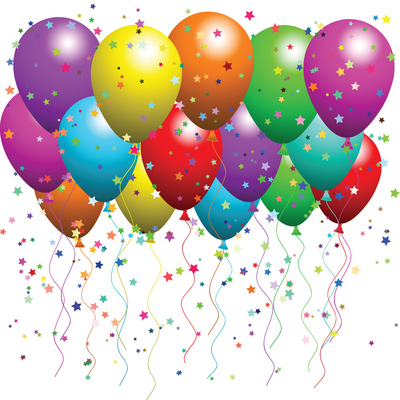 And there were 22 comments – all of them complimentary. 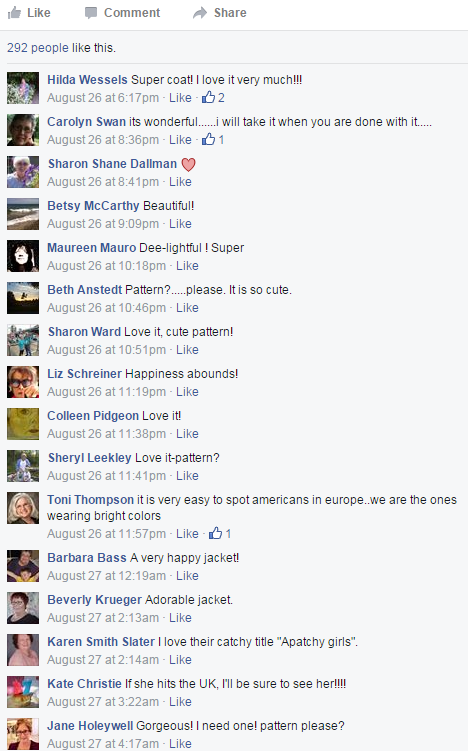 Many of the people who follow this group are American and they know a thing or two about quilted jackets. Well done Sharyn – even the teenager-in-residence was impressed with those numbers! Chris is very precise in her work and it shows – all her seams are perfect! 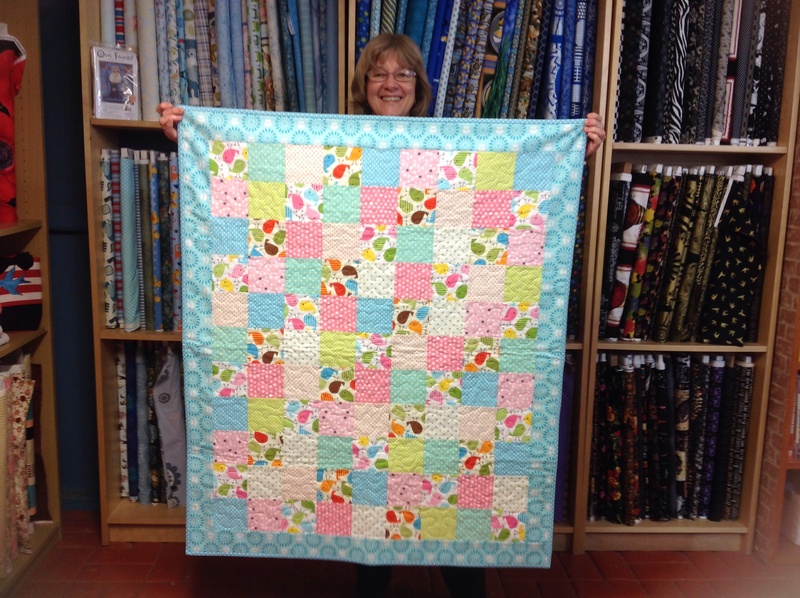 She has been concentrating on her free-motion quilting this year and is proof that practice-makes-perfect in that area too. Not content with that she also finished her sashiko tablerunner. Sashiko is one method that has been extremely popular with the Apatcheez this year – I blame June who was converted when she travelled to Japan on a quilting tour – or was she struck before that? Anyway she has infected many of the girls with the sashiko bug. 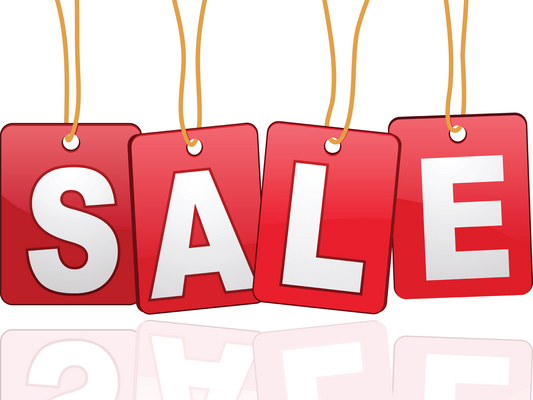 This week only, from Monday, you can enjoy 20% off all stock (apart from block of the month) and, if you’ve been clever enough to be a Geronimo Club member you will receive an additional 10% – so that’s a great big 30% off all stock – one week only – here’s your chance to grab that fabric that’s been calling to you over the past few weeks! If you can’t make it to the store don’t despair – just mention SALE in your comments when you order online and you’ll receive the discount too. This entry was posted in Events, Quilt Classes, Sale and tagged new website, quilted jacket by Apatchy Kaye. Bookmark the permalink. I fell in love with sashiko on the tour and have been a very interested observer of those who have taken it up. 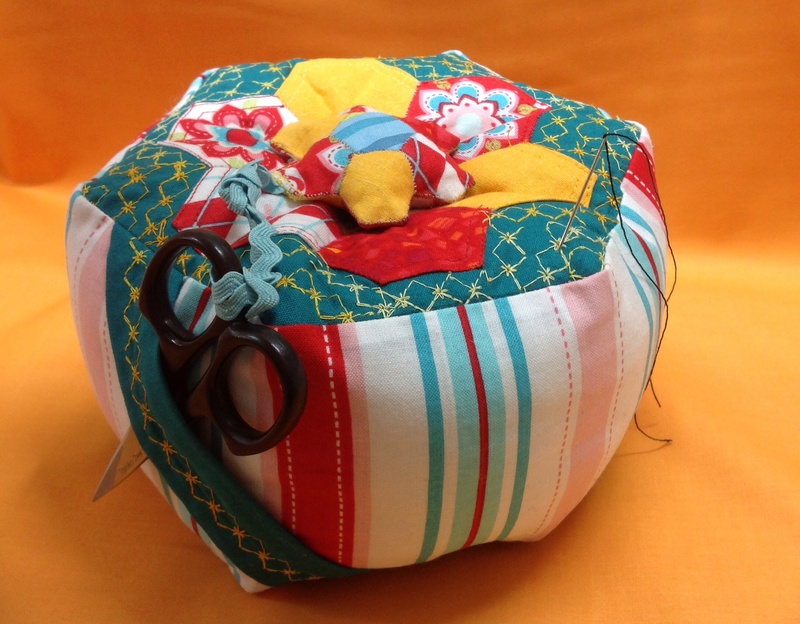 Most will remember that I barely knew how to thread a needle when I started at Apatchy six years ago last March and it is the inspiration and help from my fellow Indian Maids which keeps me stitching. 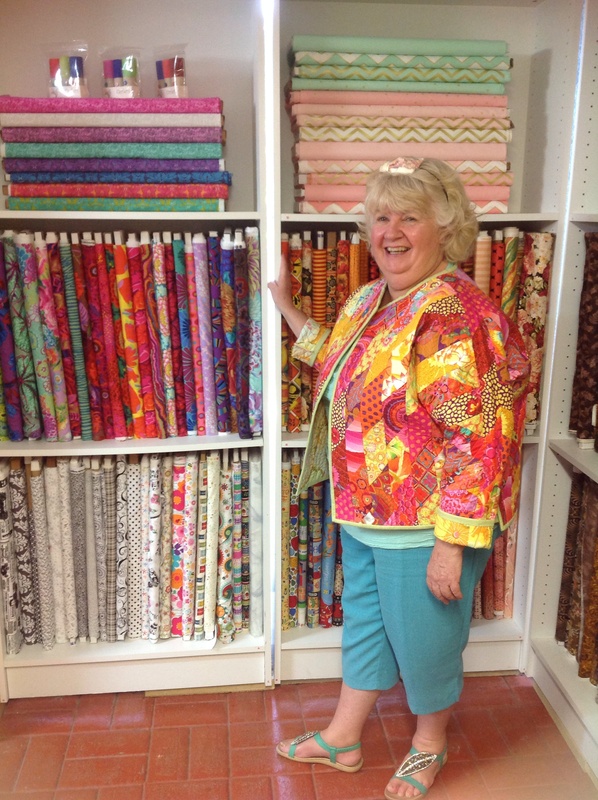 Love the jacket, It would go well in the Kaffe Fassett exhibition in York. Aha so it was you that infected the Apatcheez!! You certainly have progressed over the years. Thanks for the lovely comments. I agree it’s the community that’s a large part of the whole – not just the fabric and actual sewing.